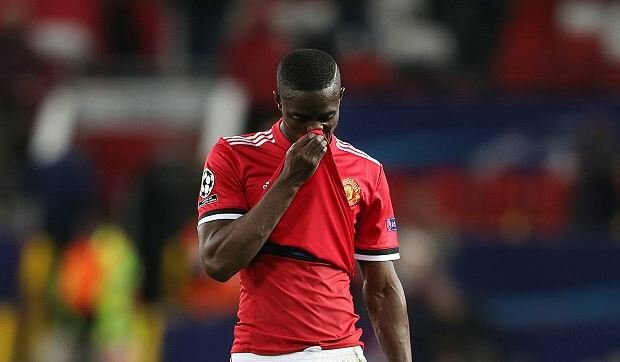 Eric Bailly has begged the Manchester United fans to forgive him and his team mates after their shock Champions League exit at the hands of Sevilla. United lost 2-1 at Old Trafford against the Spanish side on Tuesday night, sending them out of Europe at the last 16 stage. The embarrassment was compounded by United putting in a badly below-par display, and centre back Bailly took to Twitter to admit they had not been good enough. The fall-out from the defeat is proving particularly painful for United, with players and other key figures having their say on why the team failed. Striker Romelu Lukaku caused controversy by saying his team mates ‘were hiding’, after they underwhelmed on the big stage. After the game, Lukaku said: ‘Some things were flawed with some players, some players were hiding. Lukaku later clarified his comments, saying it referred to players hiding their faces in the dressing room afterwards, rather than in their performances on the pitch.